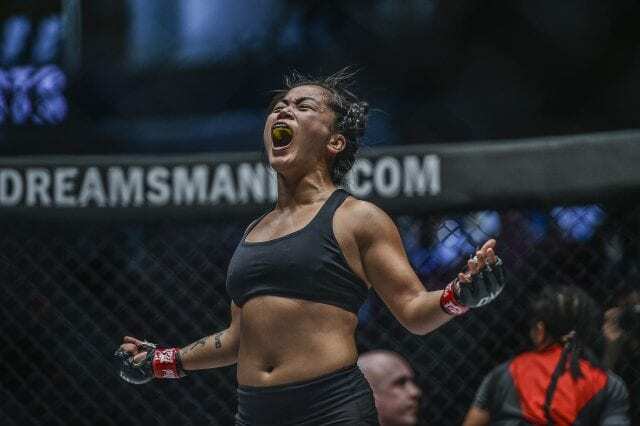 Bi “ Killer Bee” Nguyen made a flying start to her ONE Championship career today with a first-round TKO victory over undefeated Indonesian Ani Retno Wulan. The 29-year-old Vietnamese American atomweight squared off against Wulan on the prelims of ONE: Roots Of Honor. Nguyen trained for this fight in Thailand at Tiger Muay Thai. The hard work she had put in during the lead up to this bout paid impressive dividends. The former “Survivor” cast member looked calm and composed throughout the contest and did not allow herself to get drawn into any wild exchanges with Wulan. Right from the start, Nguyen pushed the action, peppering her opponent with a series of kicks. As Wulan came forward, the pair locked up with 30 seconds on the clock. However, Nguyen showed herself to be the stronger fighter in the clinch and gave Wulan little to work with. As the fight continued the Indonesian found herself being regularly beaten to the punch by the sharper and more accurate Nguyen. Wulun attempts to rush her opponent ended with Nguyen securing a takedown. With two minutes left on the clock Nguyen gained full mount, and from then on it was only a matter of time before she secured the win. Wulan’s attempt to escape Nguyen’s slicing elbows saw the Indonesian give up her back. A final flurry of strikes from Nguyen caused the contest to be halted by the referee. “I’m proud of my victory but I am a strong believer in paying my dues. 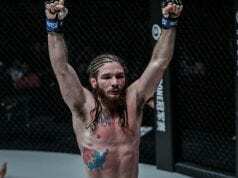 I really love how fair ONE Championship is, so I’m going to respect that. And I think I need to take one more fight of whoever ONE wants to give me, and then if I win that like I will the way I did tonight I believe I deserve top four [opponent]” Nguyen said in a post-fight interview with Asian Persuasion MMA. Nguyen demonstrated today that she is set to be a force in the ONE atomweight division. The majority of fighters in the division come from stand-up backgrounds. It will not be hard for the ONE matchmakers to book Nguyen in any number of exciting bouts going forward.